North Munster Games Glenstal Sunday 24 May1970. 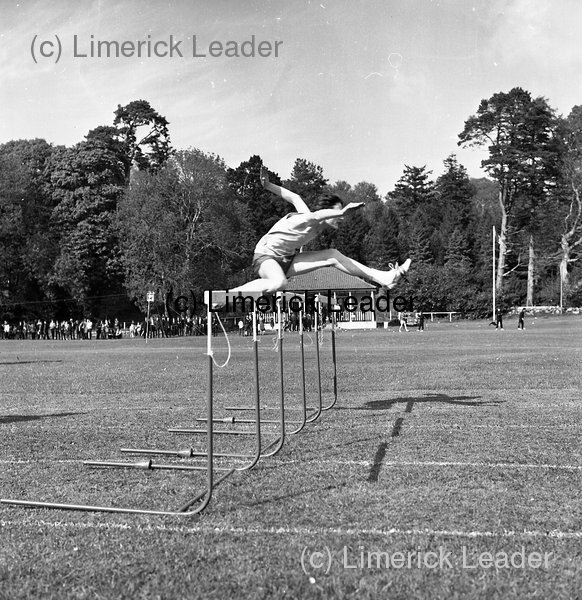 Action shot of hurdler during North Munster Games held in the grounds of Glenstal Abbey, Murroe, Co. Limerick on Sunday, 5-24-1970.